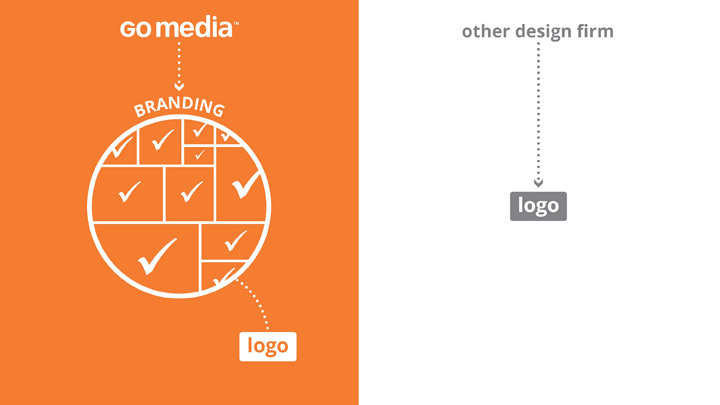 Home > Go Media Zine > Graphic Design > Logo Design vs. Branding – what’s the difference? Logo Design vs. Branding – what’s the difference? Why do I hate my new logo? Never fear, your Cleveland Logo design firm Go Media is here to explain! Everyone knows what a logo is. It’s that shape companies use to represent their company; like Nike’s swoosh, McDonald’s golden arches (M) or Starbucks green mermaid. But what’s branding exactly? Branding is a more holistic perspective of how your customers experience your company. While a logo is only a small simple mark, a brand includes every single touch-point your customers have with your company. Let’s use Nike as an example and consider the differences between a logo and a brand. Nike’s logo is the swoosh. It’s a nice clean simple shape that represents motion and speed. The name Nike is derived from the greek Winged Goddess of Victory. It’s very nice, but it’s just a mark – a simple shape. 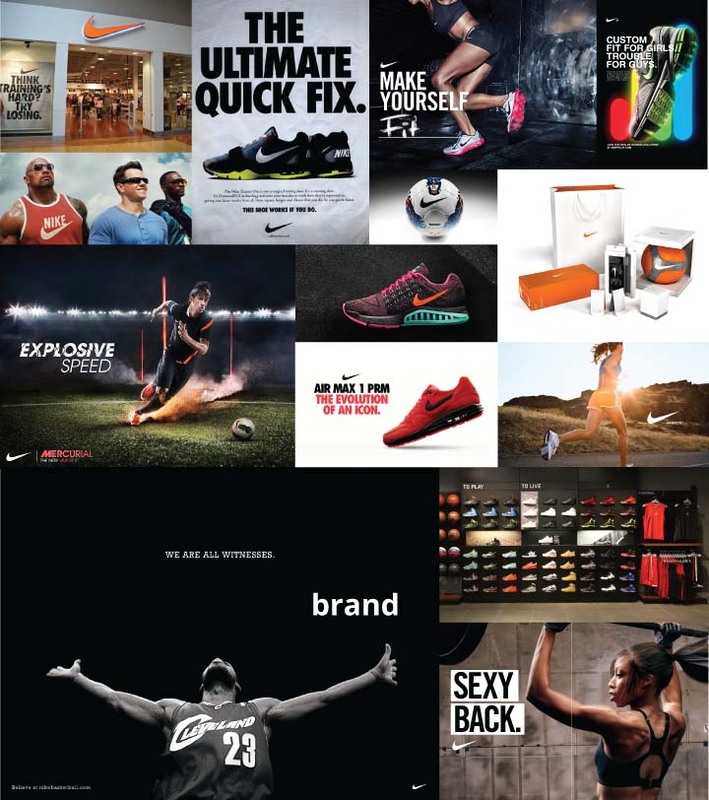 Nike’s branding includes its commercials, sports celebrity endorsements, product packaging, store design, product placement on tv and in movies, sponsorships, in-store graphics, hang-tags, the music in its videos, the design of its website, print ads, product photography, technology, and on and on and on… It’s every touch point you have with Nike. So, why does it matter? Why should I care that my Cleveland Logo Design company Go Media does branding and not just logo design? Here’s why: your customers don’t experience your company in the form of a logo floating to them in a white Matrix-like void. They experience your brand through your website, or your menu or your product packaging or your commercials. It’s important that the design company that is working on your logo understands that your logo is just one small part of a large collection of graphics. Unfortunately, this is how many business owners think a good logo design works. Step 1. A potential customer sees a logo. Step 2. If the logo is ‘good’, they have an emotional and intellectual reaction. They instantly know what the company sells, and they know it’s awesome! Step 3. They decide to purchase the product or service. Naturally, if this is how business owners think branding works, then they would expect to have a strong positive emotional reaction when seeing a new logo concept for their company. But they don’t. Almost all business owners upon seeing a new logo design for their company do NOT have a strong emotional reaction. And since they don’t, they assume the logo design is bad. After all, they have a strong positive emotional reaction to the Nike logo! That’s what makes it a good logo. Right? Step 2. 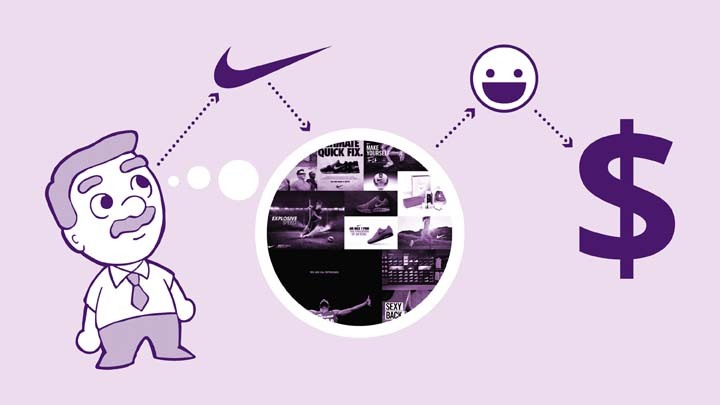 If the logo is familiar to them (such as Nike’s swoosh), they will instantly remember all the experiences they’ve had with the brand – the commercials, your experience owning Nike products, seeing your hot neighbor wearing Nike clothes, the packaging, the way your friends talk about the brand, celebrity endorsements, etc. Step 3. These memories trigger the emotional and intellectual response. Yes! I know this company! I know their products, and they’re COOL! Step 4. They decide to purchase the latest pair of Nike shoes. As you can see, the logo is only a visual queue to the brain to recall their experiences interacting with the company (also known as the ‘brand’!) 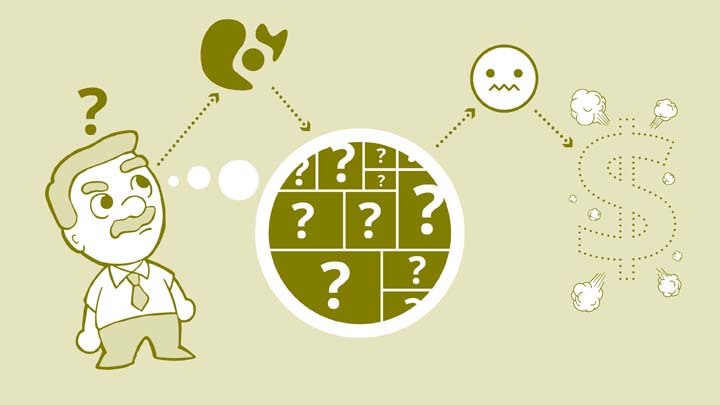 The memory of the brand experience is what triggers the emotional reaction! So, back to the business owner and the new logo. This is how their experience looks when looking at their new logo. Step 1. A potential customer sees their new logo design. Step 2. They do NOT have any memories tied to the new mark. Step 3. Because they have no memories, they do not feel ‘excited’ or enlightened in any way. Step 4. They fire their designer. Now, let me just clarify something. I don’t want to suggest that all business owners instantly hate their logo design and fire their designers. But this is certainly a challenge that designers face when working with business owners – particularly those who have well established brands. Companies with well established brands have many years of experiences with their logo – creating strong emotional attachments. Hopefully this knowledge will help you understand why you’re still clinging to your old logo and not upgrading to a new, better one. These are all the foundational elements you need for your brand. But during the process, you will find that our team also considers other aspects of your brand. This is unique to each project, but might include things like: hang tags, signage, website, apparel, paper type and finishes, uniforms, billboards, product packaging, etc. This design process is different than most other firms take and can even be confusing at first to our own clients. In the first couple of rounds they might ask: “Hey! Where’s the logo?” Invariably, they come to understand what we’re doing and by the end they have a much more well thought-out solution for their company. They have more than a logo, they have a brand! “But Bill!” I can hear you saying “One last thing. Why does your website call your service ‘Logo Design’ if what you really do is ‘Branding?’” Well, the answer to that is simple. More business owners search on Google for the term ‘logo design’ than they do ‘branding.’ So, naturally, I want my website to be optimized for the term people search more. When communicating with clients it’s important to maintain a client centric perspective.